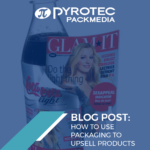 As a key branding and communication tool, labelling and packaging design is typically the domain of marketers, but it also has an impact on procurement and logistics teams whose aim is to reduce the cost of a product’s packaging without compromising quality or the brand. While clear, simple label designs may help products to stand out on shelf, they leave limited space for more detailed information. But it’s the detail that consumers are now demanding. The personality, ethics and values of the manufacturer is increasingly important, and this is where the extra space afforded by Fix-a-Form® booklet label is an asset for supporting your brand. How can I add more information to my product? It may be tempting to increase the size of the packaging, but a Fix-a-Form® booklet label is often a more cost-effective way to make better use of the available labelling space on a product. Especially in the case of medical packaging, it also has the added advantage of often staying with the product throughout its usable life, rather than being discarded shortly after purchase. Fix-a-Form® booklet labels occupy the same footprint as a conventional label while providing up to 36 pages of extra space. 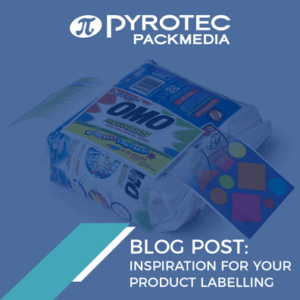 Labels can be tailored to suit the size, shape and construction of the product’s packaging, and come with the option of various innovative features. How can I reduce packaging costs? Fix-a-Form® booklet labels often replace a carton and informational leaflet, making them an economical and practical alternative to your current format. Not only can this reduce material packaging costs, savings will extend to warehousing, logistics, freight costs; and inventory, for example, by having multiple languages displayed on the product. How can I create a promotion without changing the pack’s design? Multi-page labels are a popular, cost-effective and engaging way to incorporate new marketing promotions and initiatives, such as competitions, coupons and loyalty vouchers, without the expense of redesigned packaging. Peel and reveal labels are used extensively for on-pack promotions where information such as a variable code or tear off coupon is hidden beneath the main product label. How can I use product labelling to support my brand? The more you engage with consumers the more likely they are to remain loyal to your brand. Fix-a-Form® booklet labels communicate more information to consumers, such as clear usage instructions or handy tips, information on other products within the range, support marketing initiative, such as competitions and promotions, or maybe just a simple backstory that communicates the values of your brand. Another powerful way to build your brand and demonstrate that you care is to utilise this extra labelling space to ask for feedback or comments. 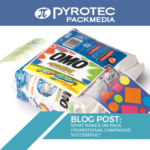 If you want to know how Pyrotec PackMedia can help you to save money, increase communication with consumers, and promote your brand, visit Pyrotec PackMedia today.